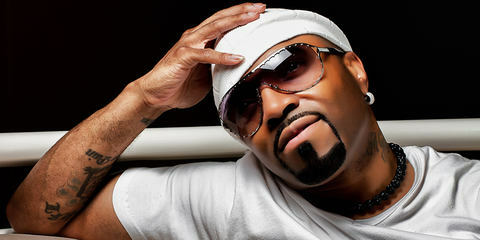 For generations now, Benjamin Wright Jr. has been a true staple in the music business, and he’s been responsible for some of popular music’s biggest hits. Throughout his career, this godfather of music has taken on the roles of producer, music arranger, composer, writer, conductor, and music director. Most people know his string and horn arrangements from hits like Boogie Wonderland by Earth, Wind & Fire, Rock With You by Michael Jackson, Dynamite by Jamiroquai, and many more. Benjamin Wright embarked on his first major tour with rhythm and blues icon Ted Taylor. His subsequent success in the industry took him on the road with James Brown, Otis Redding, Billy Stewart, and Gladys Knight & The Pips. In 1969, Benjamin worked as a copyist for notable musical arrangers such as Charles Stepney, Gene Barge, Donny Hathaway and Richard Evans. 1975 saw Benjamin move to Los Angeles, where he slotted easily into the role of musical director for the Temptations, Aretha Franklin, and Barry White and The Love Unlimited Orchestra. It was while working as the string arranger for Michael Jackson’s Off The Wall that he met Quincy Jones. 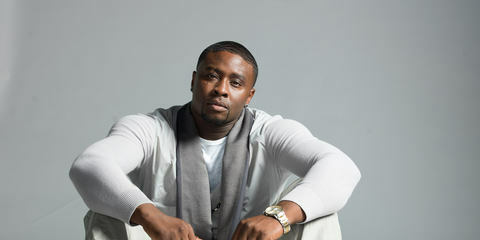 Within the last decade, Benjamin Wright has written various arrangements for the Grammy-winning albums Speakerboxxx/The Love Below by Outkast and Justified by Justin Timberlake. And he’s continued to work with Justin Timberlake on his subsequent Grammy-nominated albums FutureSex/LoveSounds and The 20/20 Experience. [LEWITT] Can you tell us some of the artist that you’ve written horn and string parts for? [Benjamin Wright Jr.] Let’s go back to my Chicago days! I moved to Chicago in 1971, at the end of producer/arranger Tom Tom Washington’s era there – he’d been doing everything in Chicago. I began to grow there, and soon I was doing all the local artists. Then I graduated and came to LA, and things really got going for me then with Michael Jackson's Off the Wall. I did arrangements for Earth, Wind and Fire, Aretha Franklin, DeBarge, the Temptations, Natalie Cole, Silkk the Shocker, Outcast, Justin Timberlake … and most recently for Ty Dolla $ign, Jamiroquai, Richard Ashcroft, Sisqó, Teddy Riley, and so on. 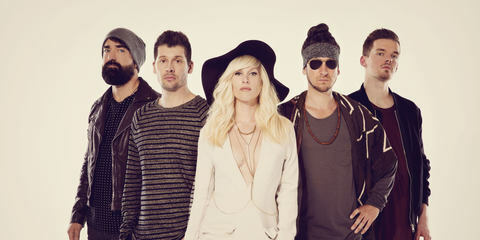 I’ve been so blessed to have had the opportunity to work with practically every major act! And doing major acts means that I’ve also done every possible no-name act, people who are still trying to break into the music business. For me, it’s all a blessing. [LEWITT] Could you give us a quick rundown of your educational background? [Benjamin Wright Jr.] I’m from Greenville (Mississippi), where they threw me out of high school. The military caught me then, and I began studying music more while in the service. At that particular time (this was about ’64/’65), there was a new school in Boston called Berklee School of Music. I think very few people can remember that, back then, Berklee was a correspondence school. Which meant that, when you registered, they sent you homework. You studied, figured it out, and mailed it back to the school. Then they mailed you the results, and that’s what it was. You have to imagine: today you can use the Internet, but at that time, there was no Internet! [laughs] I also took the Carl Fisher correspondence course, and I took what they called the national defense music course with the military, which was heavy. In terms of me going to the Chicago Conservatory of Music and receiving my Ph.D. from the Pentecostal Bible College: I was working as an arranger long before any of these big-time school justifications, so that’s street knowledge, man – getting beat up and the whole bit! 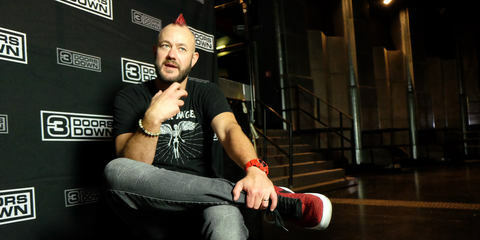 That’s where it came from, playing in bands and just wanting to do it, doing personal studies and all of that. I remember my first gig where I wrote for strings: even though I was used to getting 100% on all of my papers in school, I’d never seen violins … I’d never seen cellos. So here I was asked to do this string arrangement, and you can imagine how nervous I was – because even though I had the background, having done all the lessons and the whole bit, I’d never even seen the instruments. That’s how heavy it was! But God took me through that, and I survived! And I learned that I could write for strings. I want to back up a little bit, because in high school, you would hear hit records on the radio, but I never liked what was being played. I was one of those guys who were always complaining, “Man, the drums should be doing this, the piano player should have done this,” and the others were like: “Benjamin, you talking about proven records…” But I didn’t hear it like that, I always heard something else. I didn’t know that possibly, at that time, I was already honing my craft, because it was my own thinking – it was how I heard things. Today, record companies send me artists and the whole bit, and there are no instructions. Now it’s: “How do YOU hear it, Mr. Wright?” – and I’m very pleased about that. [LEWITT] Can you tell us a bit about your home studio? [Benjamin Wright Jr.] Let me tell you what it started from… I used to do unbelievable work at Capitol Studios. So one day I went there, and I talked to the studio manager – her name was Paula – and she said the rate would be $ 3,000 a day for 12 hours. And I said, “Paula, I used to keep this place open, why are you gonna jack me up like that?” And she said: “You know Benjamin, that’s what it costs now,” and the whole bit... I was hurt and pissed off. So I pulled out of the Capitol lot, driving my Rolls Royce like it was an Indy 500 car, and I hit the freeway crazy-mad and pissed off. But by the time I’d gotten home, my architectural mind had kicked in, and I knew exactly what I was gonna do. I was gonna tear down some walls, and I began to do that. My father was a builder, so I knew a lot about it. I hired a couple of guys, and we tore down the walls and the whole bit. What it turned into is my little studio: it actually seats 30 string players. So it’s not a typical home studio – it’s actually bigger than a lot of the commercial places! (laughs) We’ve been able to do unbelievable work here in my studio. We’ve done big band stuff – like four trumpets, five saxes, four trombones, rhythm section, and all that. We have the room to accommodate. 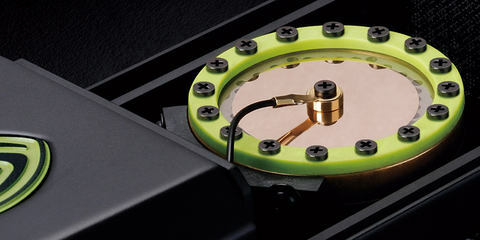 [LEWITT] What kind of gear do you have in your studio, like console, monitors, microphones? [Benjamin Wright Jr.] From a microphone standpoint, you must know that I have the LCT 240 and the LCT 550 – but I have a ton of microphones to do a full orchestra. My console is actually an older model, but it’s new to me. We’d done sessions where they had it as part of the setup, and I was just overwhelmed by the sound of it. It’s the Euphonics CS 3000 – it’s a large console, so we actually have 104 tracks. I love the “originals,” and in terms of speakers, what I mean by that is that I use the big JBLs. For my smaller speakers, I actually use Behringers, from their “Truth” range, and they’re outstanding. I’ve had pretty much every monitor there is – but this is what I’ve settled with. In terms of outboard: you name it, I claim it! I have everything. In terms of keyboards, pretty much everything. I use Logic 11 on my Mac, but I also still use my old PC. I still have most of the notation software packages. Some of it I’m still faster than, even writing by hand with a pencil, because a lot of the notation software doesn’t get things right on its own – you hear it back the way you played it, but it just doesn’t look right. You really have to know how to go in there and edit to make it right for the players. So I’m pretty loaded with all the software. [LEWITT] In this beautiful facility here, with all these gold and platinum records on the wall, could you take us through how you would typically mic a horn or a string player? But since we’re talking about horns and the whole bit: we’ve got the other brands high-end stuff. But now, I’m anxious to get even more of the LCT microphones so I can use them on the whole orchestra – basically four trumpets, four trombones, five saxes, and in terms of strings, I consider a working situation to be something like 12 violins, 5 violas, 6 celli, 2 contrabasses – it’s a lot of microphones, but we get the job done. 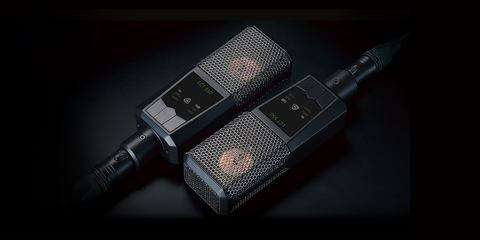 [LEWITT] What are your favorite mics, and what applications do you use them for? [Benjamin Wright Jr.] Let me start with the LCT stuff I’m using. 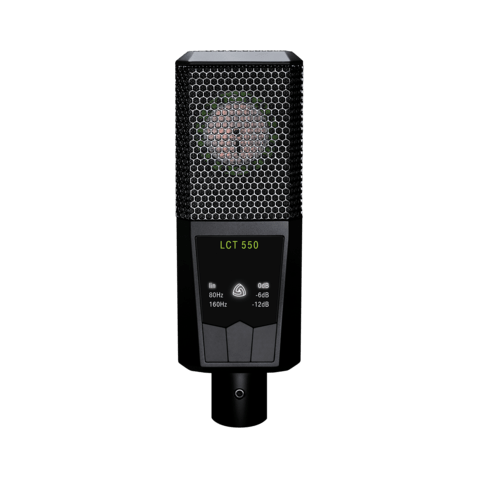 When I was at NAMM and went to look at LEWITT’s LCT mics, there was a guitarist playing, and I was wiped out by the sound – so wiped out that I had to have what he was playing through. He was using the LCT 240. 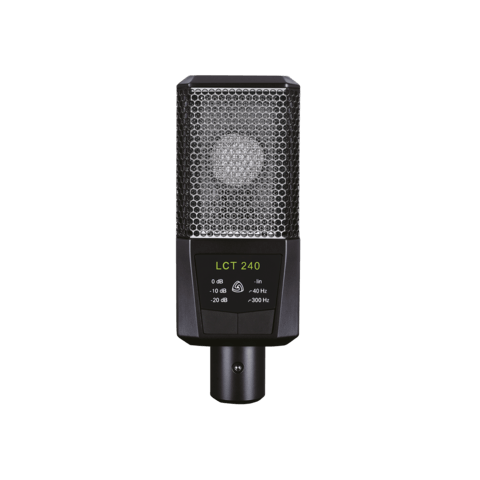 So I said: I gotta have that, and the LCT 240 has proven to be an outstanding microphone – especially when I use the acoustic guitar, be it with metal strings or catgut strings. Beautiful! It picks up the nuances, the fingerings, and just sounds very authentic. Then I started using them on vocals as well, and I was very pleased with that sound! And later on, I tried out the LCT 550’s – wonderful, love that mic with some of the horn stuff! We don’t necessarily need anything outside of that; especially with my horns, I’m cool! [LEWITT] What advice would you give to somebody who’s looking to be a string or horn arranger? [Benjamin Wright Jr.] In my opinion, arrangers have to know notation. I spoke earlier about how computers just aren’t human enough. So you have know enough music to sit there and edit it for the players. In terms of ideas, that’s totally individual – what he, she, or it thinks … whatever. Certainly there are a lot of influences there – I’m gonna even throw mine in; God has blessed me by letting me do a lot of work. And nowadays, cats sometimes do their stuff based on my examples. [LEWITT] What arrangers would you suggest that someone listen to in order to get an idea of interesting, unique, and fitting horn or string arrangements? [Benjamin Wright Jr.] Well, I have to go back a ways – like, for me, a lot of the young cats didn’t yet exist when I started out, so I go back to the older cats. I’d use the Count Basie stuff, the Duke Ellington stuff, the Billy Strayhorn stuff, and one of my favorite guys is Oliver Nelson – just tremendous. It’s greats like those I have to go back to. You know, with the young cats today … I was becoming one of those when I came along. So, you know, I’m open, there’s a lot of work on me, so check me out! [LEWITT] Can you think of any other interesting or innovative artists or songs that young string and horn arrangers should listen to? [Benjamin Wright Jr.] There are many – I just can’t sit here and call them off, because God has allowed me to do so much work. I did some great stuff on an R&B group called Dru Hill, they’re amazing singers. To capture them, you’ve got to sit down, man! And that goes for several groups that have outstanding singers. You just can’t throw a few footballs behind it – you know, whole notes and whatever. You gotta get in there and compete with what they’re doing, but not be in their way. 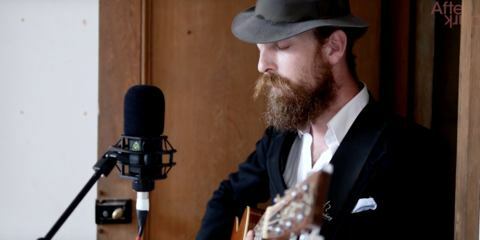 Recently LEWITT took part at the After Dark Sessions, a series of secret gigs at beautiful hidden places at the Dartington Estate, UK. 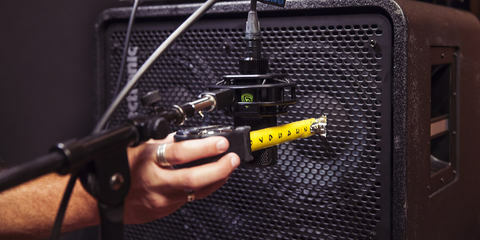 Paul White of Sound On Sound magazine wrote a revealing review of the LCT 550. Conclusion: "I have to conclude that the LCT 550 is a very capable all-rounder that delivers an honest yet musically satisfying sound in just about any recording situation you can imagine."